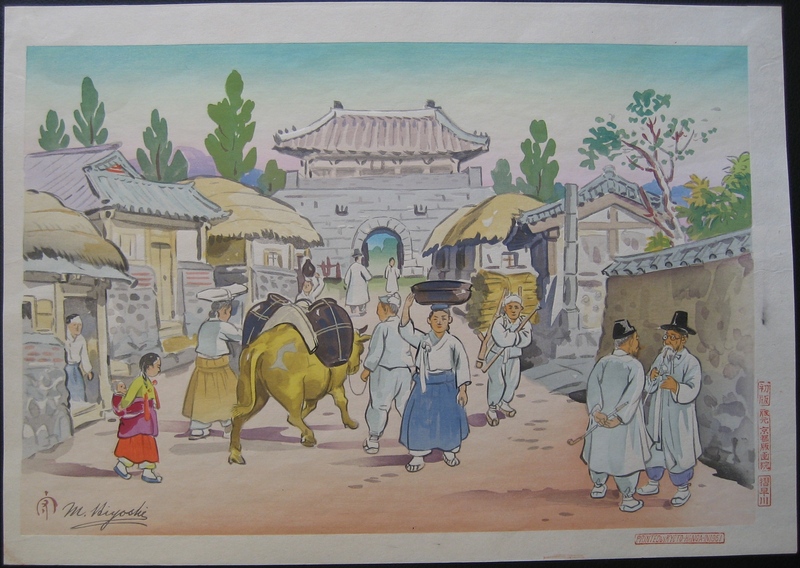 Description: Oban size print of a Korean market scene. One of a series of woodblock prints depicting everyday life in Korea by Hiyoshi Mamoru. All these prints have been sold.